Fantastic!!! When and where can I buy? good to see you up and running , my credit card is burnning a hole in my wallet , and my dios are screaming for some of your figures ! What is the range going to be and when are available. Also will you have a UK agent. I’ve been tracking your figures and your progress for the last three or four years. 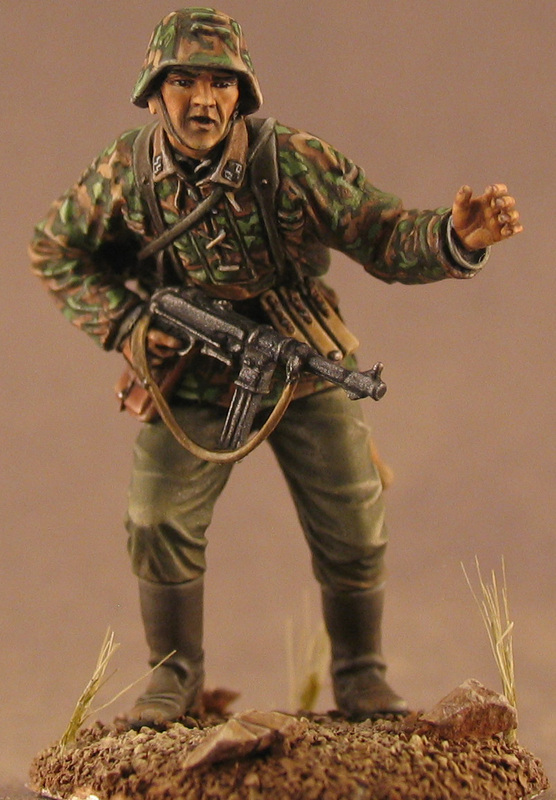 When I first saw photos of your work, back when you were still posting mosre photos, I had always thought that your 1/48 American and German soldiers looked great and would compliment Corgi’s 1/50 “Forward March” figures quite nicely, but alas, I’ve never seen one of your figures for sale. If you guys are serious about this venture, now would be the time to put your soldiers into production, perhaps in white metal, because people like me are going elsewheres for 1/48 – 1/50 – 35mm – 40mm figures. Scarab Miniatures has taken over production and marketing of Northstars 1/48 WW II figures in white metal, and that’s a really nicely done set of figures to go with Corgi’s excellent line of 1/50 tanks and figures. Just thought I’d pass on some of my thoughts. Best wishes and good luck for the new year. Are these ever going to become a reality? I still check back once a month-ish. I would still love to own these things. I have been waiting years now… They really are unparalleled!